Will OWS’ Rolling Jubilee Cause Tax Issues For Debtors? IRS Says: NO. 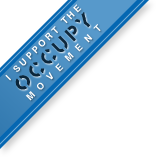 The Rolling Jubilee debt elimination project is one of the best ideas to come out of the Occupy Wall Street movement. Yet some, most notably Yves Smith of Naked Capitalism, have raised concerns that eliminating debt in this fashion might create tax liabilities for the former debtors. Q. When a Rolling Jubilee abolishes someone’s debt will this raise their taxes? A. No. We double-checked this with the IRS and a project like this does not meet the requirements to file a 1099-C Cancellation of Debt form and will almost certainly have no effect on anyone’s taxes. The lawyers I’ve talked to agree that this is largely a non-issue and can be easily dealt with should it arise (and the only way it would arise is if the IRS chose for some unimaginable reason to apply the United States tax code in a way which has never been done in the past). Now when I first read all of this I thought there was a significant problem. Tax laws: yes, US tax law is so incredibly strange that a reduction in a debt that you owe is in fact income to you. At a time when the government is taking extraordinary steps to assist individuals who stand to lose their homes to foreclosure, there is surprisingly little recognition that many of these individuals will face federal income tax consequences as a result. The same is true for individuals who default on consumer debt.1 Many taxpayers will be required to include the amount of any debts written off by the lender in gross income and pay the associated tax. Some taxpayers will be entitled to exclude the amount of canceled debt from gross income, but they will have to navigate extremely challenging tax reporting requirements to do it. That’s actually the IRS itself stating that it’s all odd, difficult and even strange. If you owe $5,000 on a card and the company says, well, OK, we’ll take $1,000 now in full and final settlement then…..yup, the IRS will want income tax on the $4,000. There are exceptions: for mortgage debt in some circumstances, if you’re really actually bankrupt (no, someone going bankrupt for $1,000,000 of debt does not then owe income tax on $1 million. That would be insane, not just strange and or difficult.) and if you can show that you’re insolvent but not actually bankrupt. And yes, all the companies out there that you might owe money to, the student loan agencies, credit card companies, mortgage banks and so on do indeed have to tell the IRS when they let you off. To the point that they have to file a form with the IRS so that the IRS can check your tax return to see that you are indeed paying the tax on that forgiven loan. Generally, you do not have income from canceled debt if the cancellation or forgiveness of the debt is a gift. Which is fascinating. The company cannot lower your debt burden without dumping you with a large tax bill. But A.N. Random Individual can indeed lower your debt burden without that tax being due. You or I, OWS, can purchase the debt and then write it off and that’s a gift: no tax is payable upon that debt reduction. The “generally” is another way of saying “if it’s less than $13,000”. And I seem to recall (and so do the TurboTax people) that any gift taxes are paid by the giver, not the recipient. The Republicans want to say the election was close. have now lost the popular vote in five of the past six presidential elections, from 1992 on. For the GOP, this was more than one bad night. Update: More people voted for Democratic House members than for Republican House members. This margin is likely to grow. The Republican maintain a majority only because of the gerrymandering they did in 2010.